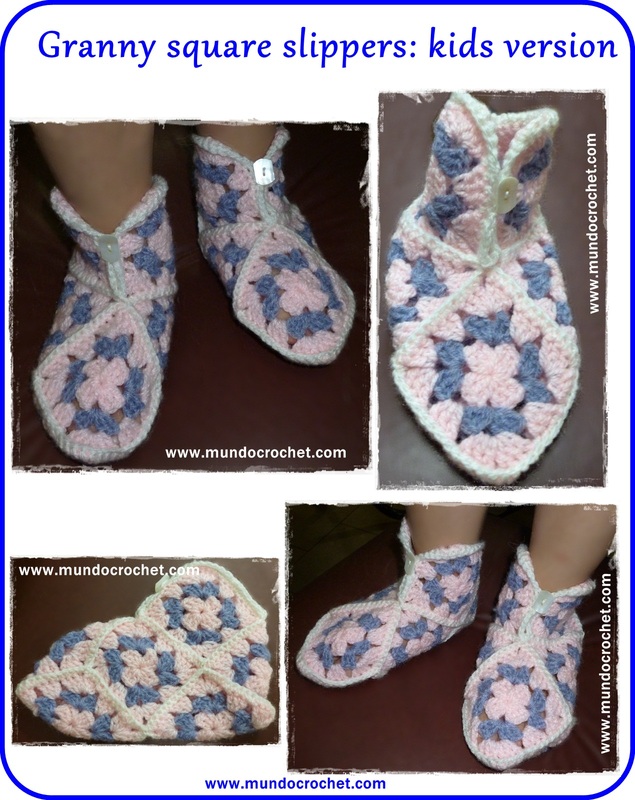 In this new post I want to show you this baktus crocheted using the (3dc, ch1, 3 dc) shell stitch. 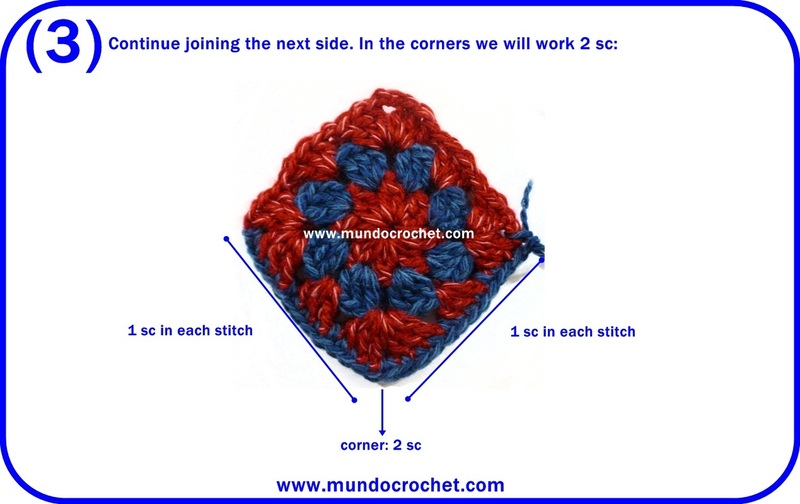 This is a fast and simple project that only uses 120 grs. of yarn. 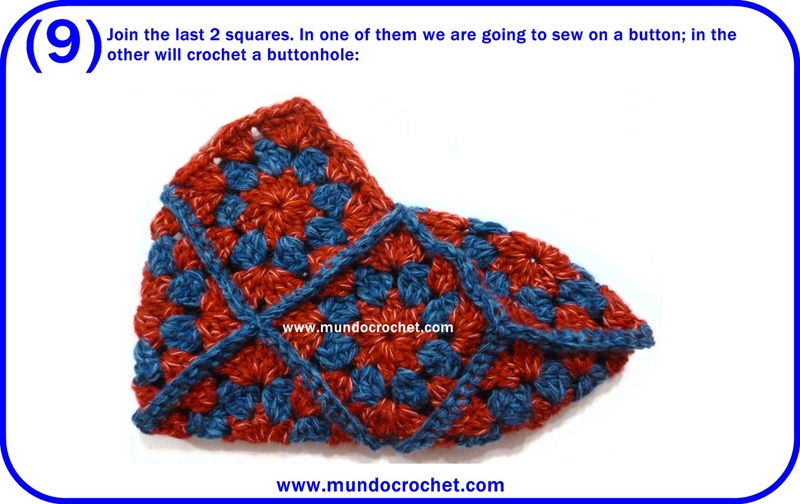 It also has the particularity that is an easy pattern to follow, since you crochet in a continuous way: each row begins with a shell and ends with half a shell. 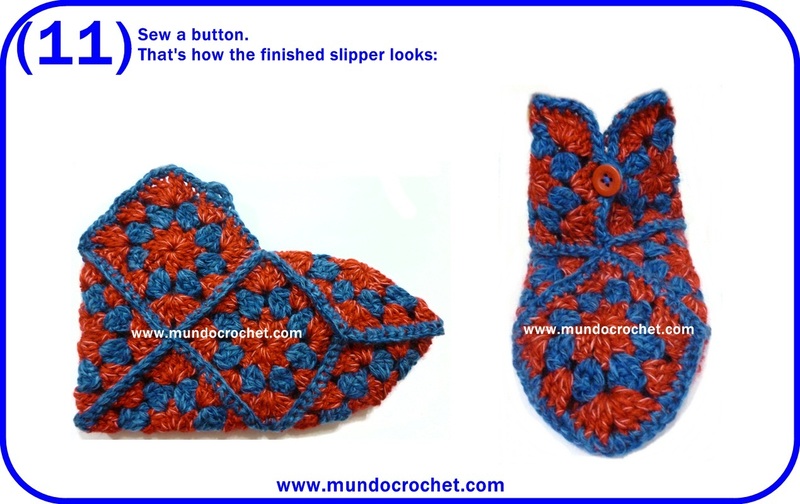 To continue you just have to ch 6 and begin a new row. Ch 199 (multiple of 8 + 7). 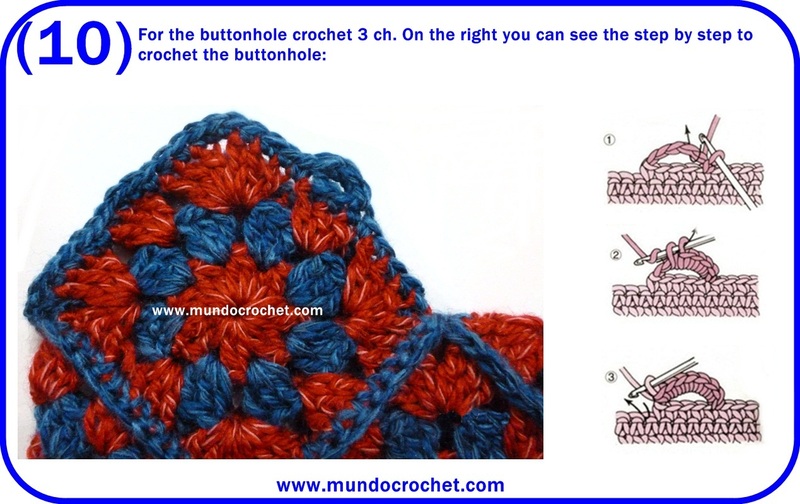 1-Insert hook into the 7th ch from hook and crochet (3 dc, ch 1, 3 dc), *ch 3, skip 7 ch, insert hook into the 8th ch and crochet (3 dc, ch 1, 3 dc). 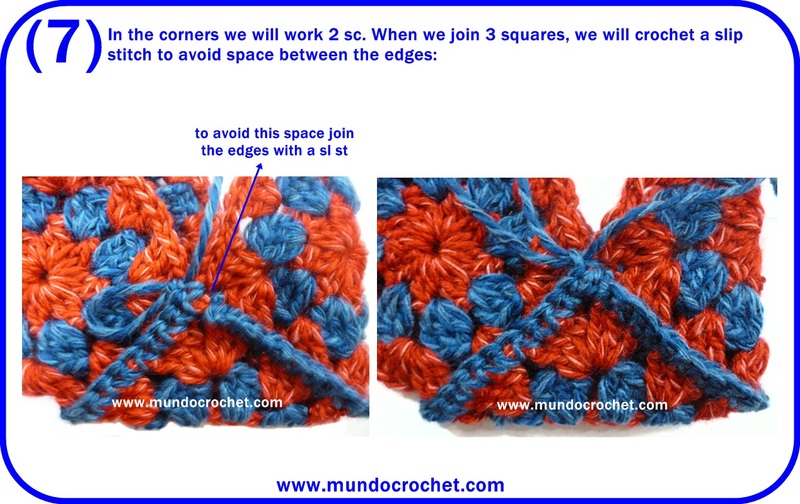 Repeat from * until end, except in the last ch where you have to crochet 3 dc. 2-Ch 6, (3 dc, ch 1, 3 dc) into the ch 1 space of the pevious row. *(3 dc, ch 1, 3 dc) in the next sp. 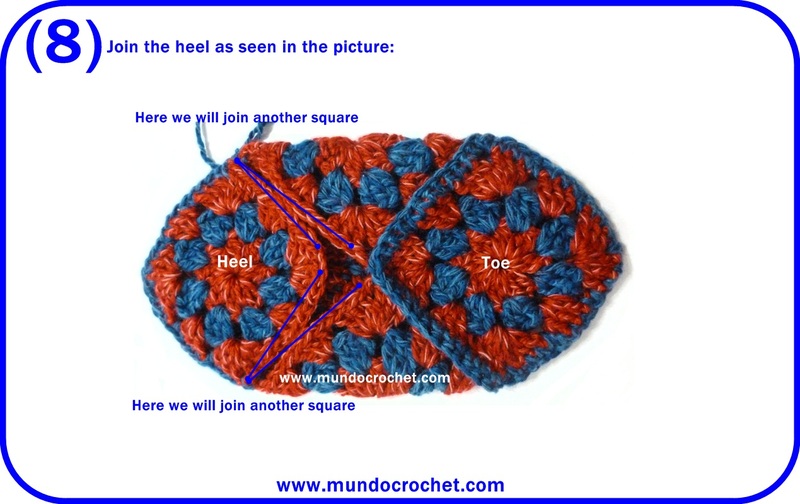 Repeat from * until end, except in the last ch where you have to crochet 3 dc. 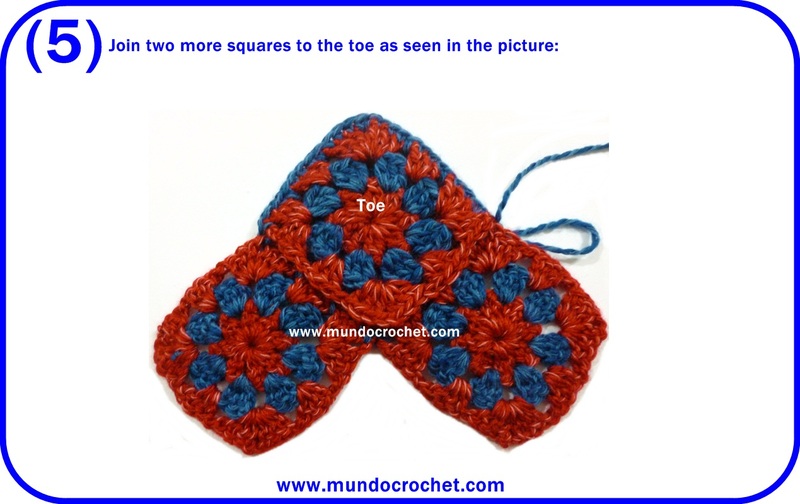 3 to 23-Repeat row 2. 24- Ch 6, (3 dc, ch 1, 3 dc) into the ch 1 space of the pevious row. Ch 6, sl st into the next ch 1 space of the previous row. 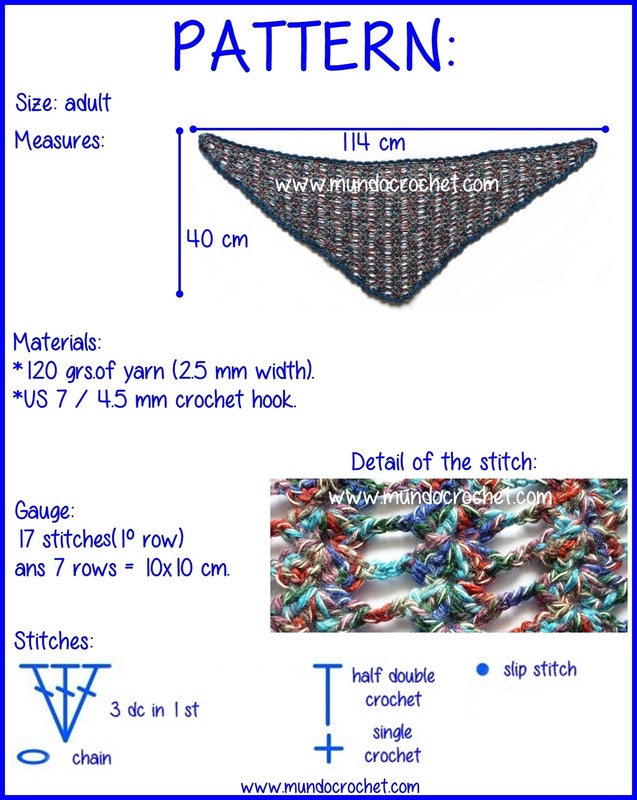 1-Starting in the ch 6 sp of the 1st row of the body. Ch 1, 1 sc into the ch 6 sp, *ch 4, 1 sc into the ch 1 sp of the body, ch 4, 1 sc into the next ch 6 sp, ch 4, 1 sc into the same sp. Repeat from until end, except in corners, where you have to ch 6 instead of 4 (see chart bellow). Sl st into de 1st sc. 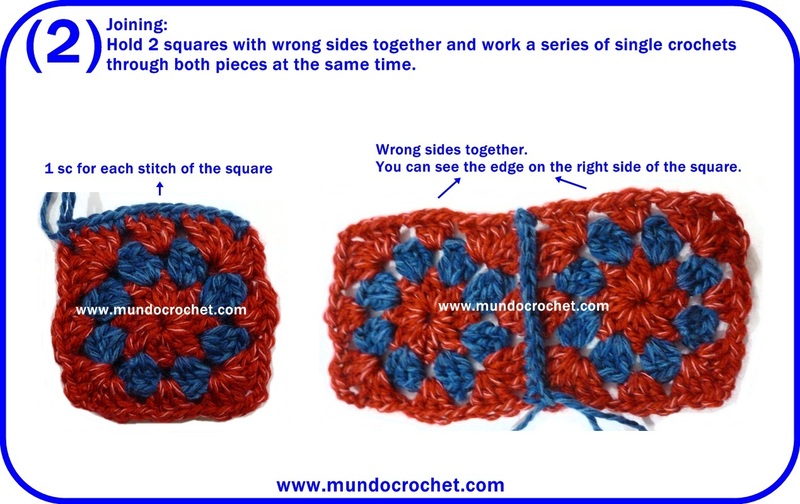 2-Ch 1, (1 sc, 2 hdc, 1 sc) in each ch 4 sp of the previos row, except in corners, where you have to ch 3 before and then continue with (1 sc, 2 hdc, 1 sc). Sl st into de 1st sc. 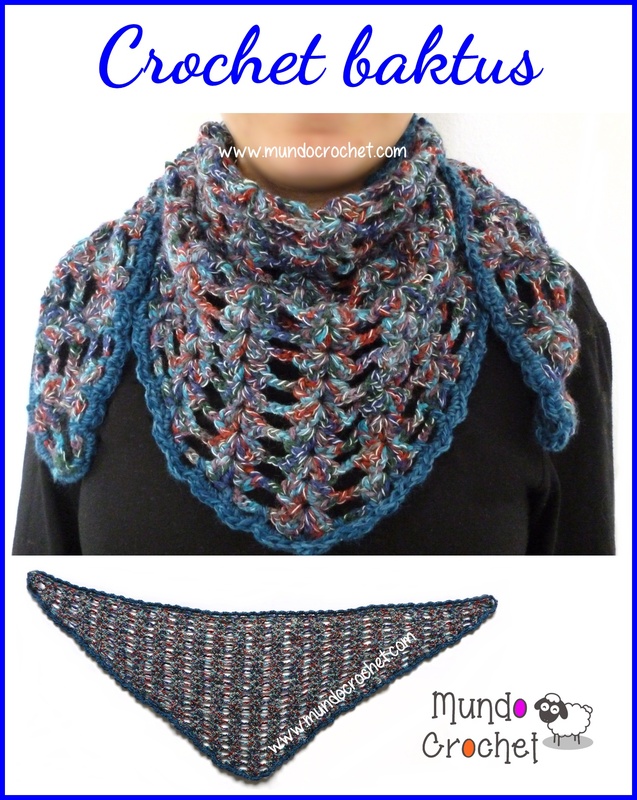 In this post I want to show you a shawl very simple to crochet. 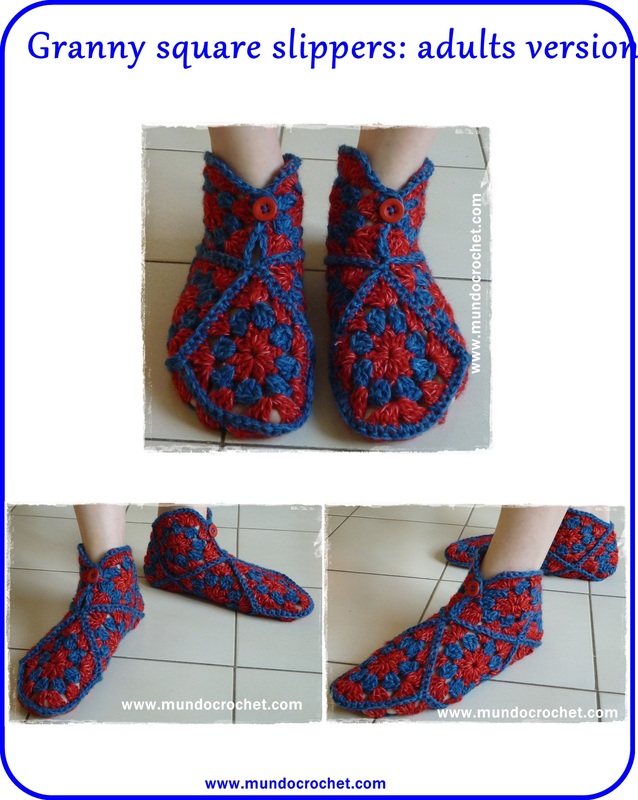 It’s made using only two stitches: chain and treble crochet. 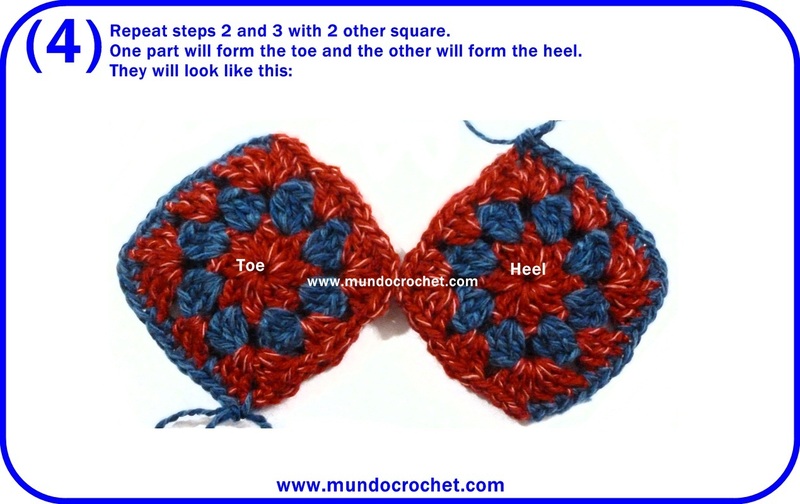 It´s very easy and fast to crochet. 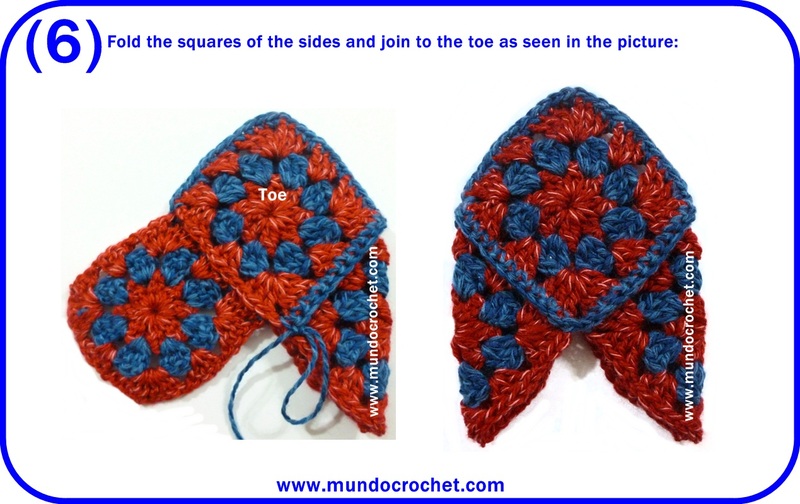 The edge is opcional, I made it in single crochet stitch, but you can use other stitches like picot, arches or put fringes. 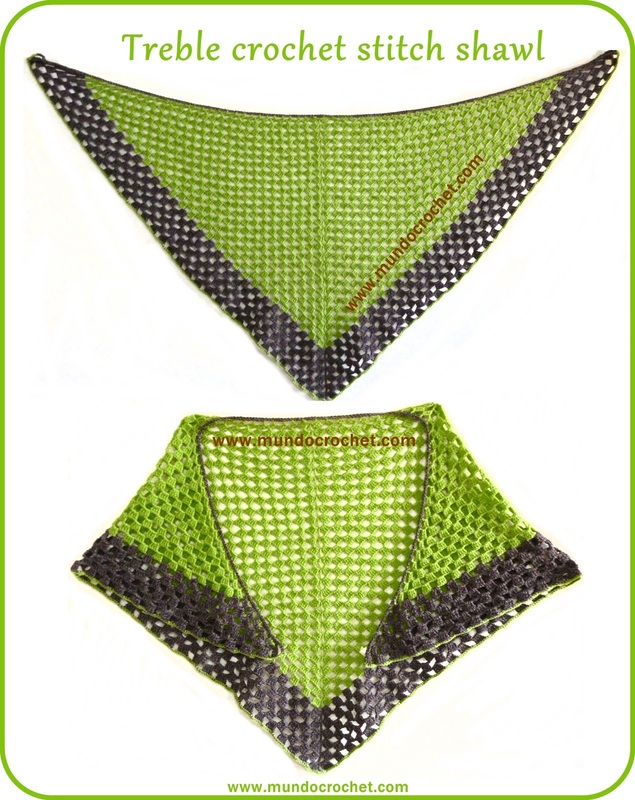 1) Chain 6. 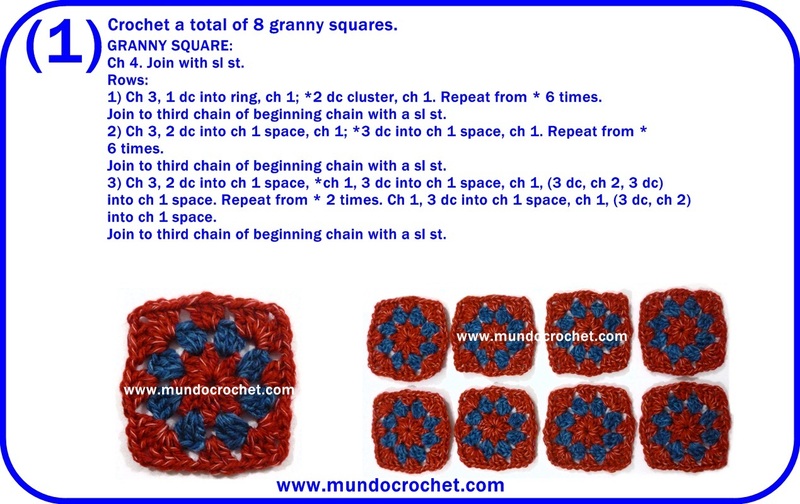 1 treble crochet in the 1st chain. 2) Chain 7. 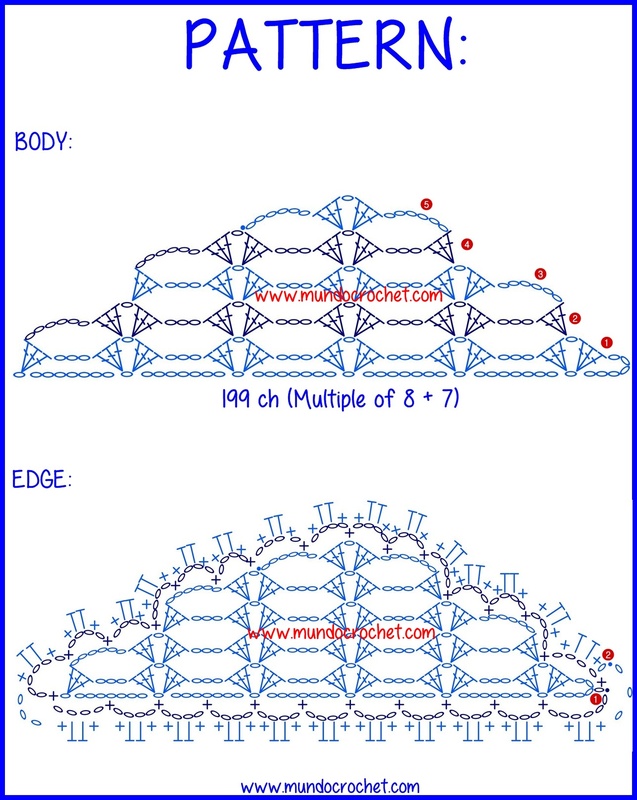 In the ch 6 space: 4 tc, 3 ch, 1 tc, 3 ch, 4 tc, 3 ch, 1 tc in the 1st ch of row 1. 3) Chain 7. 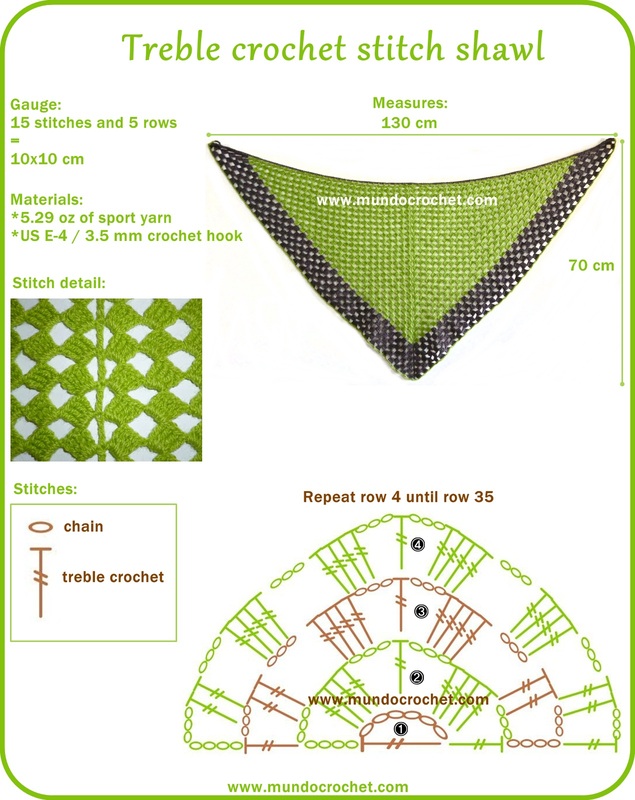 2 tc in ch 3 ch space, 3 ch, 4 tc in ch 3 space, 3 ch, 1 tc in tc of previous row, 3 ch, 4 tc in ch 3 space, 3 ch, 2 tc in ch 3 space, ch 3, 1 tc in 4th ch of previous row.